Accurately keeping track of income and expenses is vitally important when running a business and using the right accounting method is just as important. In general, businesses will use either the cash basis or the accrual basis method of accounting. To give you an idea of how using the cash basis or the accrual basis method of accounting will affect your business, we will provide you with some insight about both methods. The cash basis method is the simplest method to use since there are no complex accounting transactions required. Per the IRS, the cash basis accounting method can only be used by businesses having no more than $5 million of sales (gross receipts) per year. These businesses have the option of choosing either the cash basis or accrual basis method. For the sake of keeping things simple, most small businesses choose the cash basis method. Using the cash basis method, the true profitability of the business cannot easily be discerned because of the random recording of cash receipts and expenditures. 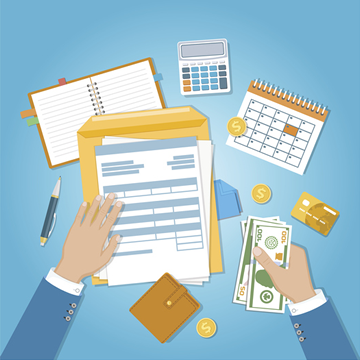 Using this method of accounting, revenue is recorded when cash is received, and expenses are recorded when paid. In other words, revenue recognition is delayed until payments are received and expense recognition is delayed until paid. Accounts payable and accounts receivables do not come into play when using the cash basis method. In May 2018, your company invoiced Mr. Brown $35,000 for equipment purchased. However, payment was not received until June 2018. Also, in May, your company incurred various expenses (liabilities) that totaled $20,000, which you paid in June, after you received the payment from Mr. Brown. As the revenue had not yet been received from Mr. Brown, and the expenses had not been paid in the month of May, you would not record the revenue or expenses for the month of May. However, you would record the revenue and the expenses in the month of June because this is when the payment was received from Mr. Brown, and the expenses were paid. Though the cash basis method provides a more accurate picture of how much actual cash your business has, the longer-term profitability picture may be misleading. Example, sales can be slow one month, but the books show a profit for that month because many of your credit customers paid their bills in that month. To have a true understanding of your business’s finances, you need to understand what the numbers mean and how to use them to answer specific financial questions. Generally, larger companies use the accrual method. The accrual basis method must be used by businesses if their sales (gross receipts) exceed $5 million or the business stocks an inventory of items that you will sell to the public and the gross receipts are over $1 million per year. Inventory includes any merchandise that the company sells, as well as supplies that will physically become part of an item intended for sale. Another important reason to use the accrual method is because a company’s financial statements can only be audited if they have been prepared using this method of accounting. Using this method of accounting, revenue is recorded when earned and expenses are recorded at the time they are generated. The accrual basis of accounting provides a better picture of a company’s financial position at any given time because all revenue earned has been recorded and all liabilities incurred have been recorded. In May 2018, your company invoiced Mr. Jones $35,000 for equipment purchased by him. Also, in the same month, you incurred various expenses (liabilities) totaling $25,000. You would record the revenue received from Mr. Jones and the expenses incurred in the month of May. So, for the month of May, your bottom line profit would show as $10,000 (Revenue – Liabilities). 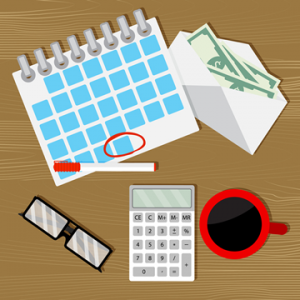 Your company received revenue in the month of May and incurred expenses in the month of May. As this is the case, you would record both the revenue and the expenses on the books in the month of May. Keep in mind that serious cash flow problems could arise using the accrual basis method because you may not have an accurate picture of what cash reserves are available. For instance, your books show a large amount of revenue in sales, however, your bank account shows a low balance. The low bank balance is because you haven’t received payment from your customers yet. Using the previous examples, let’s discuss the effect that the accounting method would have on your cash flow and taxes. Using the cash basis method example, for the Month of May, you will show no revenue or expenses, but you will show bottom line profit for the month of June in the amount of $15,000. ($35,000 Revenue – $20,000 liabilities). Using the accrual basis method, you will record the revenue and the expenses in the month of May even though you have not received the payment for the invoice or paid the expenses. Your accounts receivables will show the $35,000 (revenue from Mr. Jones, not yet received) and the accounts payable will show $25,000 (expenses not yet paid). Income received in any given year must be reported that tax year. 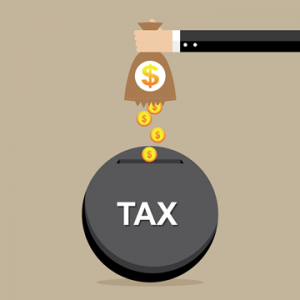 This means that using the cash basis method of accounting, if you receive a payment anytime during the tax year, that revenue needs to be reported for that tax year. Whereas, using the accrual method of accounting, if you invoice a customer in 2017, and you don’t receive the payment until 2018, you will still be on the hook for reporting that revenue in tax year 2017, even though you did not receive the payment until 2018. As mentioned previously, per the IRS, businesses with sales of less than $5 million have the option of choosing the cash basis or accrual method, and businesses with sales of more than $5 million a year are required to use the accrual basis method of accounting. The most significant way your business is affected by the accounting method you choose involves the tax year in which the revenue and expenses will be recognized. The accounting method that you use on the initial return, is the method that you will be required to use for future returns. There is nothing special that you need to do on the return to indicate the accounting method that you have chosen. You will be required to use this accounting method on future returns unless you officially request a change of accounting method from the IRS by completing the Form 3115. Once the initial return has been filed and accepted, you cannot randomly change the accounting method without the approval of the IRS.